Festivals of Speed is Gearing up in St. Pete! The annual Festivals of Speed events are some of the most anticipated functions in the Tampa Bay Area. This year's weekend event is more than just a car show in St. Petersburg. It's a memorable affair full of great food, signature drinks, special cigars and, of course, the exquisite cars! Kick off the Festivals of Speed weekend with the Luxury Lifestyle Cocktail Reception event on Friday, March 31. Enjoy an evening of fine wines, craft cocktails and exotic cars. Whisk yourself away to the Priatek Plaza Tower and enjoy a night unlike any other. You can enjoy a premium open bar, sip on craft cocktails and choose from a wide selection of fine wines to enjoy. A live band will bring the plaza to life with song as you buzz around and regard the finest exotic cars and custom motorcycles. This sophisticated evening includes all the above and more for $100 ticket price. 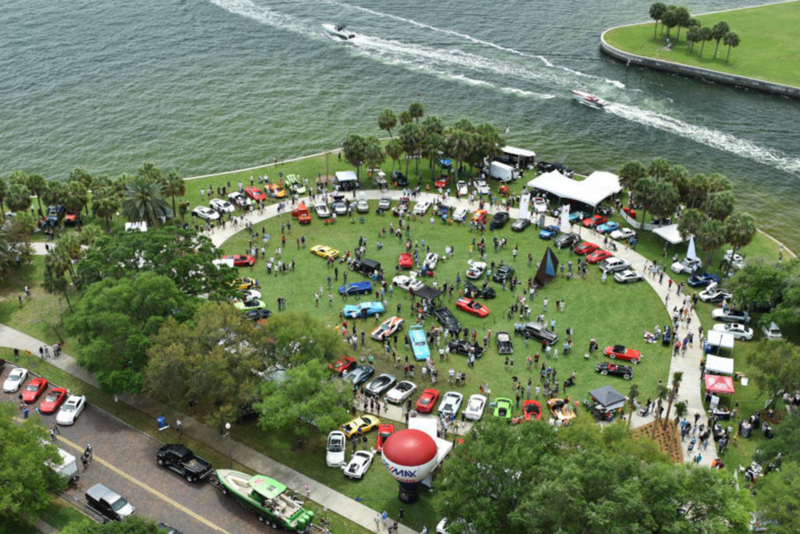 On Sunday, April 2, head down to Vinoy Park for the thirteenth annual Festivals of Speed event! Explore the waterfront park in Downtown St. Pete, taking in the sights of the city on the water and the high-end cars reflecting sunlight. A variety of over 300 cars, motorcycles, watercraft and luxury brands will be on display at the event. The Festivals of Speed event will have numerous designs by Porsche, Ferrari, Rolls-Royce, Lamborghini, Aston-Martin, BMW, Mercedes, McLaren and more for you to see. General admission tickets are $20 and on sale now. For a chance to relax during the event, you can purchase Supercar Lounge tickets online before the event! The Supercar Lounge offers a premium open bar and comfortable seating, giving you a place to sip on fresh cocktails and kick up your feet during the day. Tickets for the event and Supercar Lounge entry are $85. If you want an above and beyond Festivals of Speed experience, VIP tickets are also available for purchase. VIP status gets you a full culinary experience, an open bar, soft drinks and more. Event and VIP tickets total to $100 for a full day of delicious food, great drinks and a fun experience. To get you even more excited, Touch Vodka is sponsoring the Festivals of Speed event this year. Touch Vodka will be in the VIP sections at both the Luxury Lifestyle Cocktail Reception on Friday and Festivals of Speed event on Sunday. 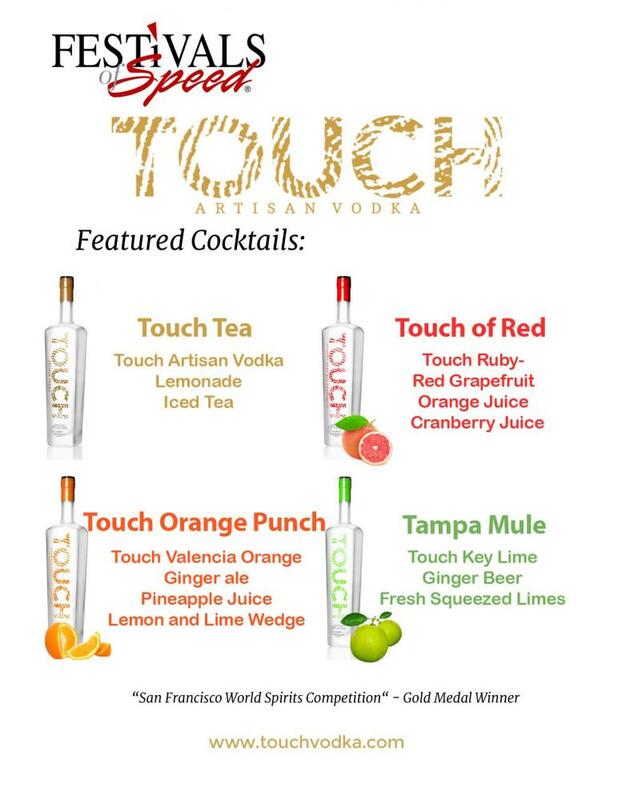 The Touch Vodka Tampa Mule, Touch Orange Punch, Touch Tea and Touch of Red are some of the featured cocktails you can look forward to this weekend. You will also find free samples around the events for you to try. 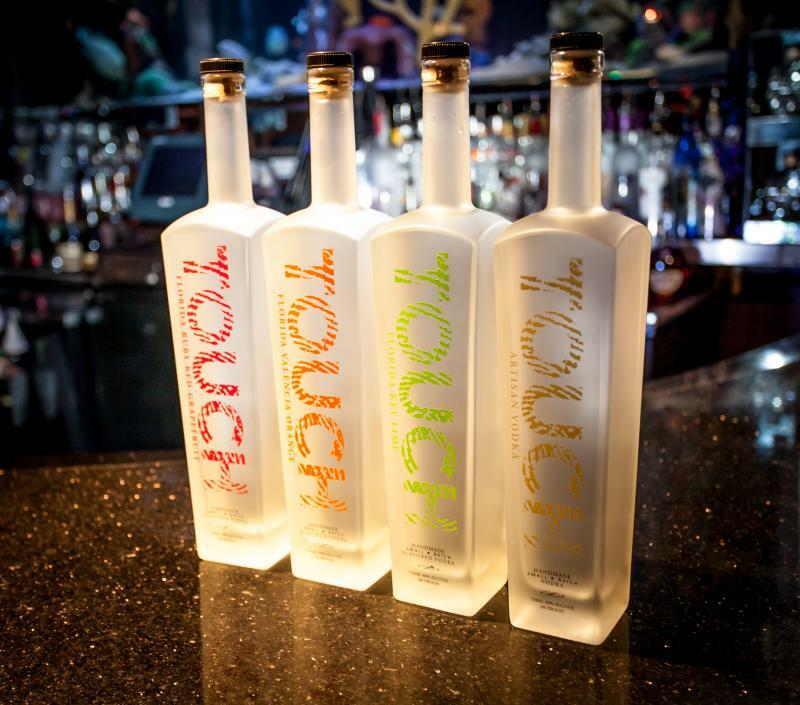 With Touch Vodka sponsoring, you know the drinks are going to be crisp, smooth and uniquely refined! The Festivals of Speed annual event is a local favorite and with good reason. The food, drinks, cigar lounge and overall atmosphere are unlike any other event. 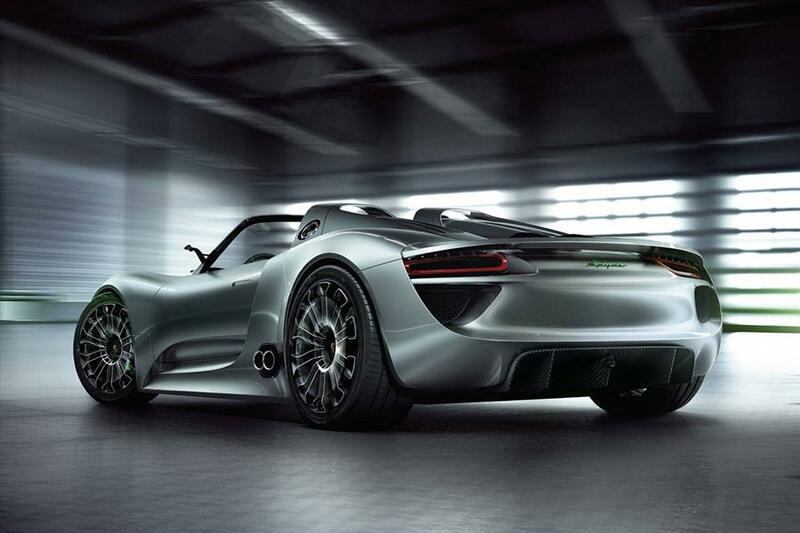 Head over to our events page and get your tickets to the Festivals of Speed in St. Petersburg!